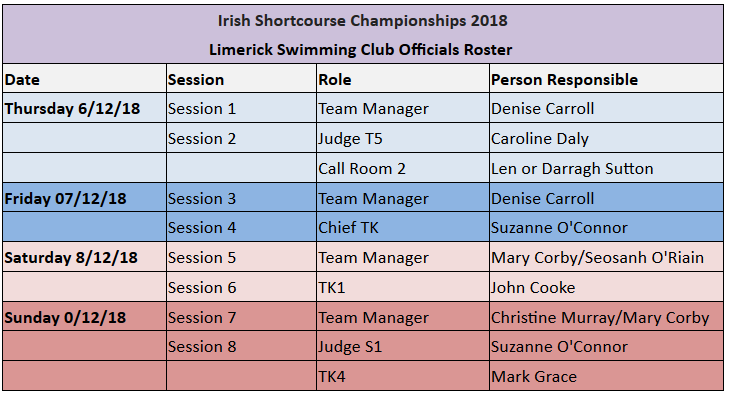 Please find attached rota for Irish Shortcourse. Wishing all our simmers the best. Your time is much appreciated.